dance.net - Remember your first pair (9967695) - Read article: Ballet, Jazz, Modern, Hip Hop, Tap, Irish, Disco, Twirling, Cheer: Photos, Chat, Games, Jobs, Events! Ok This question has been building up. Hope to get alot of posts! Ok do you remember your first pair of tap shoes you ever owned? 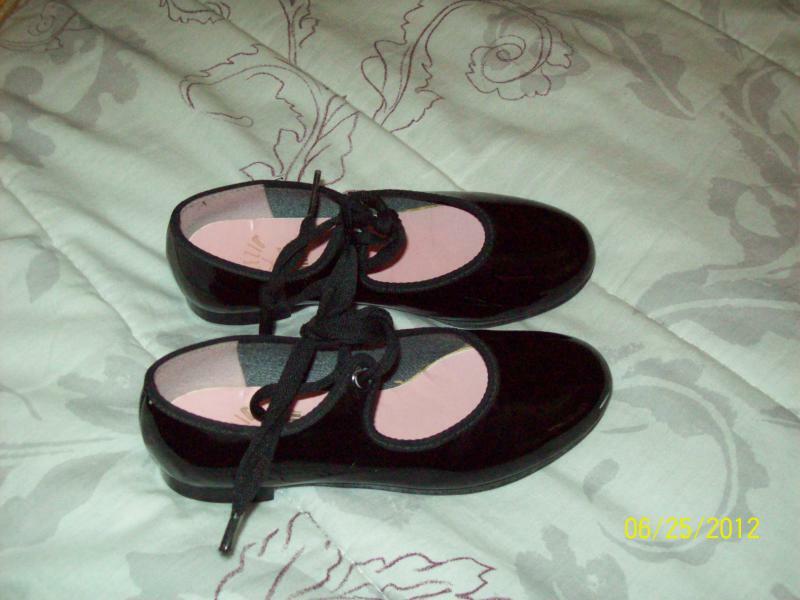 They were capezio and I was six when I got them. Mine were these stupid roller skate looking ones with no laces, but I loved em. Once they retired I turned one of the taps into a keychain which is still being used. May you live on forever, tap shoes. Very cool and at least what how many pairs of tap shoes you gone through at this point. Mine were black with little cut out hearts punched out around the top. I guess the shoes came with the class, because the only part of class I remember is the teacher dumping a whole lot of tap shoes in the middle of the room. I spotted those, and decided that they were mine and that they were going to fit perfectly before I even had them in my hand. I joined the pre-team at my dance school and tap was required. So I got the same kind of shoes I have now and I've been tapping ever since. Boring ones, Energetiks low heels. But I didn't start until I was 15 or so and they were the required shoes for beginners at my studio. That's an awesome idea about the tap keyring, I so want to try that when my current shoes get retired. I've had them for 5 years and they've been fantastic. They sell those now I beleive. I vaguely remember my first pair as being white canvas type shoes that otherwise looked similar to Majere's picture. If I had any before those, I don't remember them. My first pair when I returned to dancing a few years ago were almost identical to the picture, I have quite small feet so bought a cheap pair second hand from the kids section on eBay. Once I knew I was going to keep going, I treated myself to a pair of Capezio West End, which are still going strong. Mine looked like Majere' s, except for the pink insole. I remember I didn't like the sound very much. majere, I had basically the same pair. I loved them. The coolest part was getting to change the ribbons for various recitals to match the costume!! Haha, I had forgotten about changing the ribbons to match costumes. We did that too, it was great.